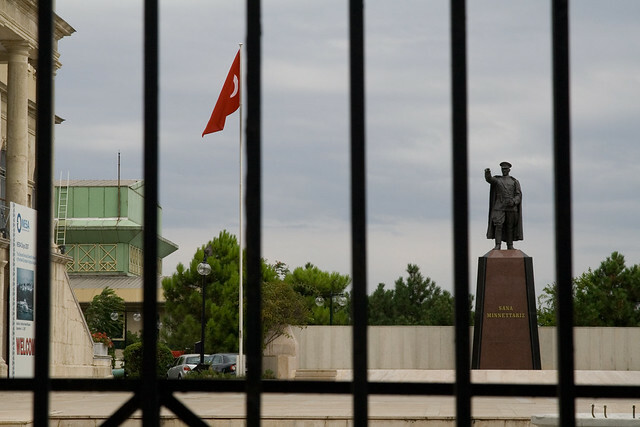 On July 15, a faction of the Turkish military launched what was ultimately an unsuccessful coup d’etat against President Recep Tayyip Erdoğan. While the military initially appeared to have taken effective control of Turkish government, within hours it was clear the coup was unlikely to succeed. Why would the president avoid using the term “coup” to describe what was, obviously, a coup? The answer is that, like everything in modern life, warfare comes with a surprising amount of legal red tape. Enough, in fact, that America has tended to avoid warfare altogether; the United States has not once been at war since the Japanese surrendered in 1945. Admittedly, in these 70 years of uninterrupted peace the U.S. has suffered in the neighborhood of 100,000 combat deaths and directly killed hundreds of thousands if not millions of people in Korea, Vietnam, Cambodia, Iraq, Afghanistan, Libya, Somalia, Lebanon, and elsewhere – but technically the Congress has not declared war on any nation since World War II. There are also legal obligations that come with declaring a change in government a “coup.” The Foreign Assistance Act of 1961, which reorganized and standardized the provision of aid to foreign governments, prohibits the United States from providing foreign aid to any country “whose duly elected head of government is deposed by military coup or decree.” (Technically that provision of the original act has been repealed, but this restriction has been written into each year’s appropriations bill authorizing foreign assistance. The most recent appropriations bills have added the language, "or a coup d'etat or decree in which the military plays a decisive role.") Additionally, maintaining a relationship with a coup government creates diplomatic concerns, given the United States' loudly stated commitment to democratic government. This commitment, of course, can create conflicts for America when our leaders decide that American interests are better served by maintaining existing relationships despite a military-led change in government. In Turkey’s case, it’s not exactly certain how the United States would have reacted had the military clearly taken decisive control in the early hours. Turkey is home to Incirlik Air Base, a facility jointly used by the air forces of the United States and Turkey, and an important staging ground for operations against ISIS in Syria and Iraq. In addition, Turkey connects directly to Europe and serves as a buffer with the Middle East, making it critical that Turkey maintain the stability and control necessary to police its southern and eastern borders. In the event of a military overthrow, the United States may not have been able to afford cutting off aid to this critical NATO ally; indeed, the U.S. has supported the Turkish military during coups in the past. Hence the administration’s reluctance to declare the events in Turkey a “coup” until it was clear the attempt was headed for failure. Avoiding the “coup” is a familiar game to the United States. In recent years, the Obama administration has avoided officially declaring coups during the 2013 ouster of Egypt’s Hosni Mubarak and the removal of Honduran president Manuel Zelaya in 2009. Even an official declaration may not do the trick; in 2014, despite declaring a coup d’etat in Thailand, the United States cut only about a third of military assistance. Given Turkey’s importance to the United States' current military priorities, and the ease with which we define away military coups, it’s likely that Obama wanted to keep his options open in case the Turkish army succeeded. And to protect that flexibility, you have to avoid the magic words.